Purpose: To defend your team from the opposition. 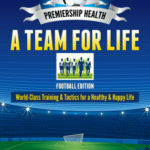 The number one player you need to nurture and develop for Premiership Health is your Health-Keeper, aka the immune system. If you have a top-class immune system it makes it very hard for bacteria, viruses and cancer cells to infiltrate your defences and score against you. The great football managers of the past like, Brian Clough, Bill Shankly and Jock Stein, all realised you build a successful team from the back. You lay down the foundations for a solid defence and stop the opposition from scoring. For the simple reason, it is much easier to win a game if you don’t let in any goals (by getting sick) in the first place. 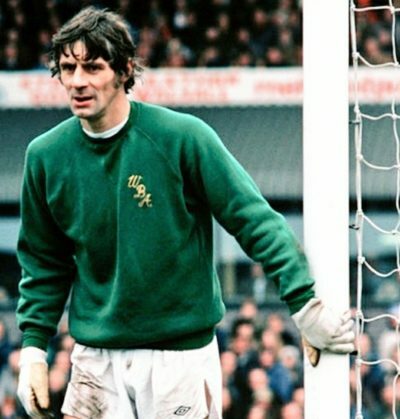 When I was a kid the Albion Keeper was John “Ossie” Osborne – With his old man looks, lack of teeth and generally scruffy appearance, he soon earnt a place in the hearts of many an Albion fan. Osborne, made 250 appearances for the Baggies between 1966 and 1978, and was part of the 1968 FA Cup winning team, keeping a clean sheet in the process. A number of things however, made “Ossie” standout from your average goalie. Firstly, he was highly intelligent and helped the Albion win a BBC TV football themed game show called: Quizball. Secondly, he had a great rapport with the fans, famously or infamously taking cigarettes offered to him by supporters during a game to calm his nerves. Thirdly, he was an exceptionally brave goal keeper, regularly in the wars and in one game against Southampton, he played most of the first half with concussion. He was even nicknamed the “Bionic” goalkeeper after having a strip of plastic inserted into his arthritic finger to form an extra joint. Despite all this, he was still a tremendously good player and during the 1976 promotion season he set a club record for clean sheets. In a 2004 poll organised as part of the club’s 125th anniversary celebrations, he was named as one of West Bromwich Albion’s 16 greatest players. It would serve us all well to remember this quote as we proceed on our journey to Premiership Health. Because, without first and foremost, a top performing Health Keeper, you are not going to enjoy a long and successful career in the game of life. Sadly, John Osborne died in 1998 at the age of only 57 from Lung cancer. He realised too late that even great Keepers can succumb to the ravages of cancer if they do not take care of themselves. “I smoked ciggies from an early age and a pipe from the age of 30. I knew all about the dangers when I started. Health Keepers are in command of your immune system, charged with the duty of stopping bacteria, viruses, and cancer cells from scoring goals against your team/body’s defence. The importance of a strong defence should never be underestimated, because ultimately it keeps you in the match and provides the solid base from which you can score some quality goals. Stay strong at the back to keep out the attack.